the thing is that I don't have much room for error because my budget is very tight. and I would have liked to know if there were any improvements to be made to this control card ? It looks like you have a plan, but please do tell more details about your resonant frequency, MMC size etc. 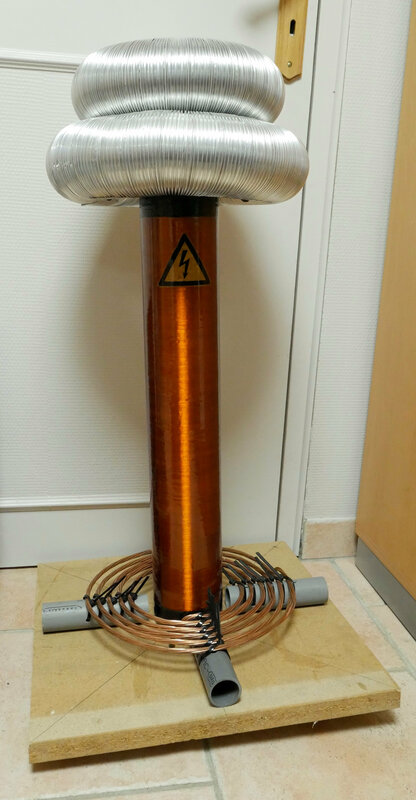 As this is your first Tesla coil, it is better to keep it simple and get it working before you think about improvements. 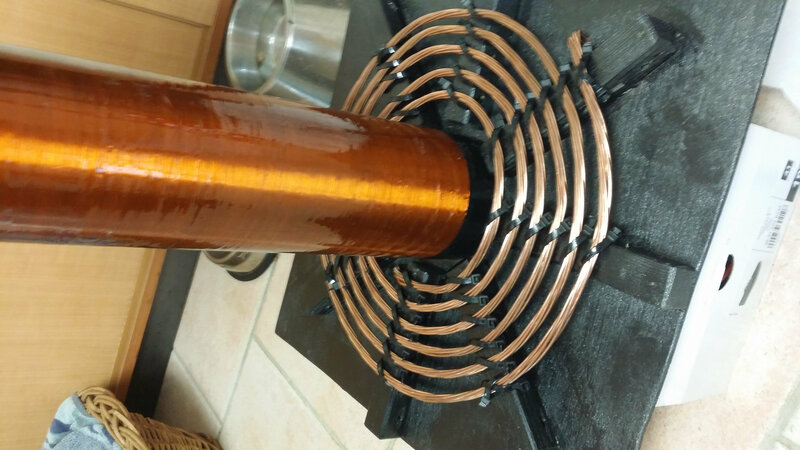 2: the high voltage sticker on the secondary coil could also lead to flash overs simply from being another material, the adhesive changing the varnish underneath or just by supplying a edge along which the arc can track. High frequency high voltage works in mysterious way. what tolerance can be given to the capacitance of the MMC capacitor ? how to know if wood is "conductive" ? and what damage can it cause ? Wood can become conductive when near high frequency high voltage because at high frequencies the insulating material properties changes from regular DC current behaviour. If it is moist, which most wood is to some level, it can conduct current. If there first is a single strike and a carbon track is formed in the wood, it will flash over the second after and start burning as long as you are pushing current into it. So avoid using wood in direct contact with high frequency high voltage. To use the same example I will once again use the 0.45 uF MMC where I choose to use six parallel strings of two CDE 942C20P15K-F capacitors in series. 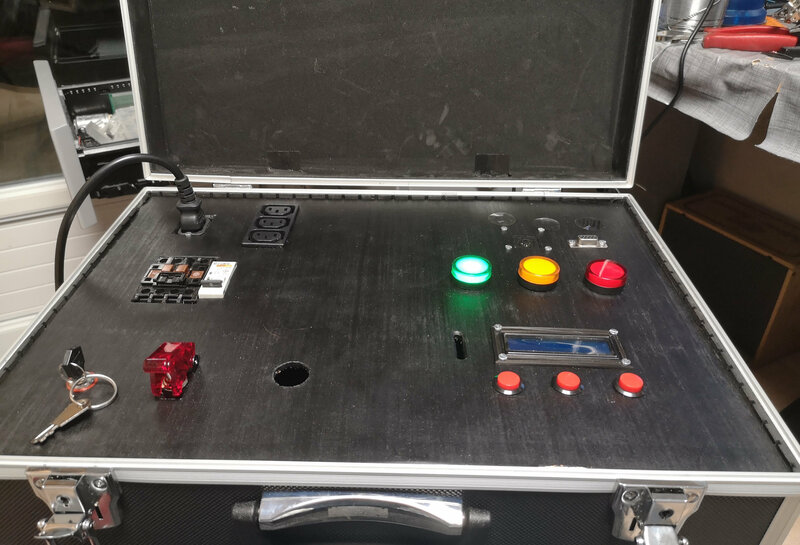 Each capacitor has a DC voltage rating of 2000 V in a 4000 V series rating, but for protection I will derate that 20% so the calculations are done with a maximum allowed 3200 V across the MMC. Peak voltage V_peak is given in Volt, Primary inductance L_primary is given in Henry and frequency F_resonant is given in Hertz. The result shows with good precision why I ran my DRSSTC1 at 500 Ampere OCD settings, as this corresponds to the low voltage rating of the MMC, but not lower than it was a good match with the IGBTs used. The maximum on-time to stay below 3200 V across the MMC, and thus also stay below 472 A peak primary current can be calculated, but it is dependent of the inverter type. 5 half-cycles at 70 kHz on a full-bridge, according to table 2 is around 35 uS before we have either 3200 V across the MMC or 472 A flowing in the primary circuit. what should be the minimum and maximum value of dV/dt? but every time there's no schematics. what do you think is best ? As long as you use MKP/PP type capacitors, dV/dt will never be an issue, since these capacitors ratings for pulse currents is already in the range of what we need. You found a X1 safety capacitor used for EMI input filters, while this is a regular MKP capacitor, their datasheet does not specify its current capabilities and their dissipation factor also does reveal that it might not be useful in pulse application, 0.1% at 1 kHz is already very high and now at 100 kHz that will get even worse, my best guess is you would set there capacitors on fire if you run that coil for too long. 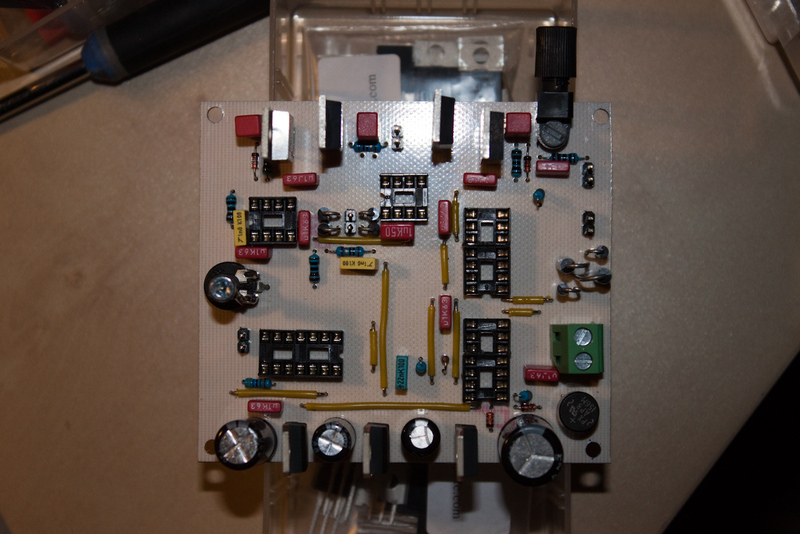 Find a capacitor that has a datasheet with RMS and peak current specifications and how to derate that to frequency etc. Fiber optics is not cheap, not even the cheapest, but it is the best choice for human safety and operational stability. so if I replace an OPF 2412 with an IF-D95 will it work ? 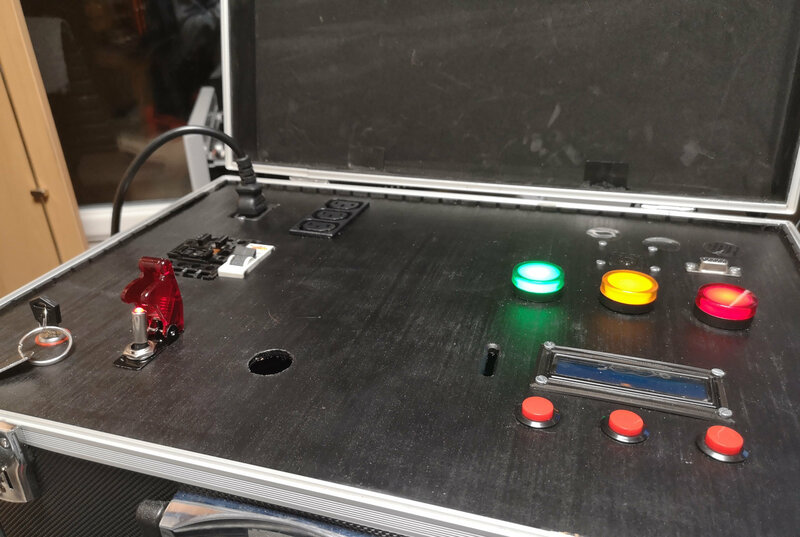 They are both give CMOS/TTL compatible outputs, but the OPF 2412 has a NOT gate on the output, so polarity of the two receivers is opposite, so you need to add in or remove a hex-schmitt trigger gate on the driver board, there should be one available when its the regular Ward UD1.3/2.1. would you still have at your disposal the diagrams and files used to make your DRSSTC 1 OR 2 ? it would save me the trouble of having to do them again. where did you find it ? Could someone please check that I didn't make a mistake ? I never shared the board files as I never got them up to a public state in being error free and its not really a priority for me to get that work done. You can find eagle boards files on Wards home page for his drivers. I find all the equipment in my videos on privately owned metal scrap dealers grounds. Comparing your schematic to Wards UD1.3b ( http://www.stevehv.4hv.org/newdriver08/DRSSTC_pndriver1_3b.pdf ) you seem to have left out C3 and you did not connect pin 2 and 4 on your IC5A to +5V. I still have one more to do. celui avec le LM311, le détecteur d'intensité et celui pour désaccordé avec la fréquence de résonance. Nice boards, I assume they are all homemade. I'm guessing that silkscreen is toner transfer? 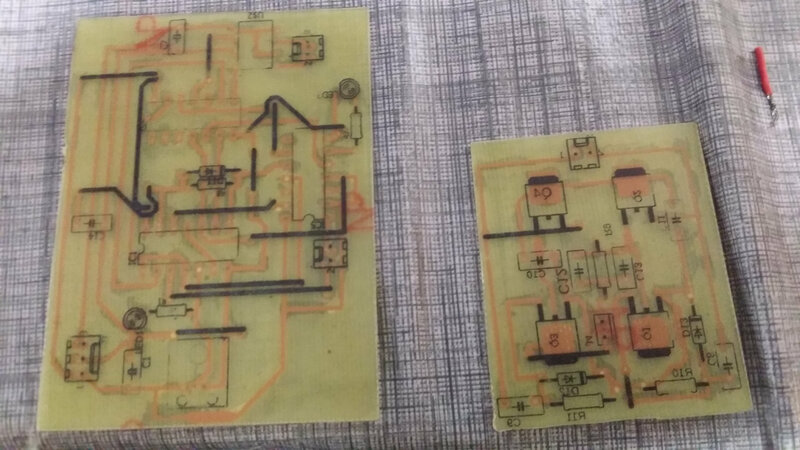 If so, nice trick, never tried it when doing my own PCBs. I first redid the primary coil support, then I added a second torus to drop the resonance frequency and to finish, I finished the security part of my control desk. - for ferrite rings are there any characteristics respected ? - how do I know if my IGBTs will withstand 550 A peak ? because on this DRSSTC, I peak max is 500 A, but these IGBTs only resist 300A max ! - what do you think of these capacitors (https://www.mouser.fr/ProductDetail/KEMET/R474N31005001K?qs=sGAEpiMZZMu3dWSqd4Tl0Fd7dHVopjbiki9cBgNAjKv9dySeLvLI4A%3d%3d) ? I would not use those X2 Kemet capacitors for a MMC, they are not made for the job. They have a low dV/dt rating and its hard to get any other specifications on it. 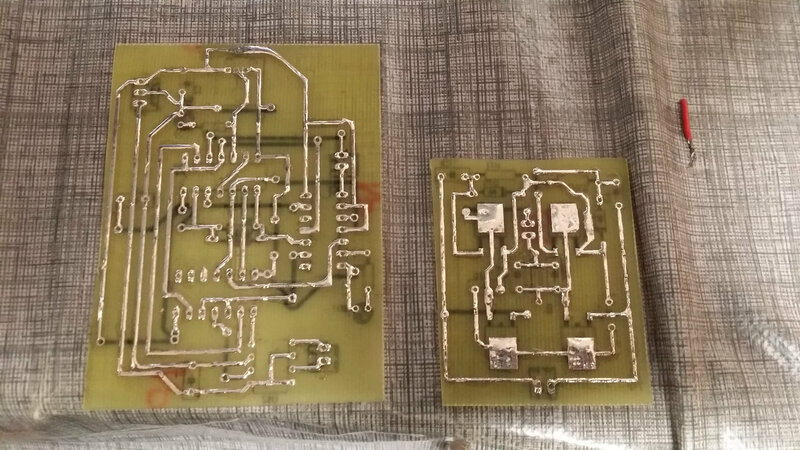 You can properly compare it to the Kemet capacitor I added in this list: http://kaizerpowerelectronics.dk/theory/good-mmc-capacitors/ and you can try to give it a design go at: http://kaizerpowerelectronics.dk/calculators/mmc-calculator/ but be aware that there is currently a error in the MMC calculator regarding temperature rise, so it might be 10-20 times too small, I am looking into that issue. 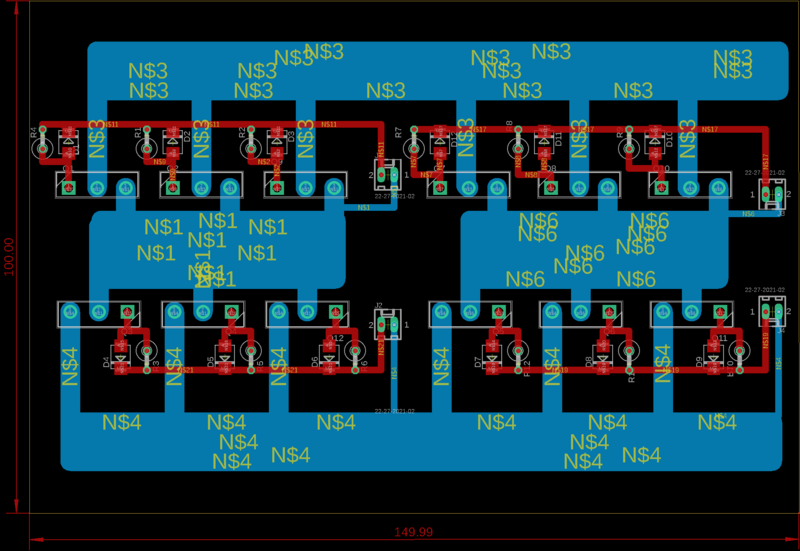 Since I'm not the budget for big IGBTs, I have chosen to use FGA60N65SMD. 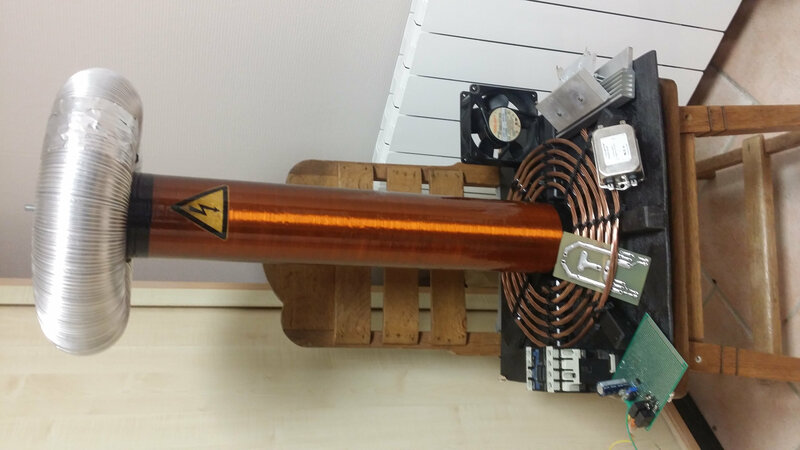 According to Mads Barnkob's painting, those if can hold 300 A Peak (http://kaizerpowerelectronics.dk/tesla-coils/drsstc-design-guide/igbts/).